One of the biggest Chinese companies Bright Dairy released a new product in 2018 – yoghourt for drinking with an elder and rose taste. 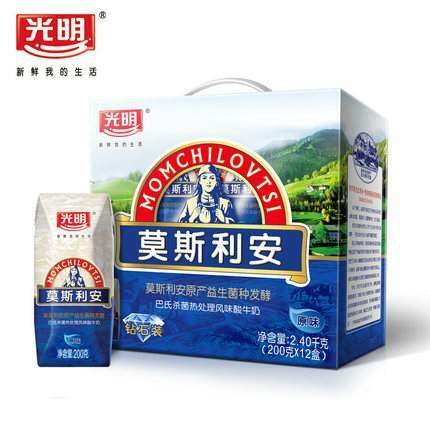 Momchilovtsi yoghourt has become a favorite brand of the Chinese. It is named after a Rhodope village in Bulgaria. Since its launch, the Chinese-Bulgarian product line won several international awards for hygiene and taste. All of the company goods are made with Bulgarian yeast “lactobacillus bulgaricus”. are chosen because of their healing qualities. The new drink is targeted to the young people, in particular – the girls. Bright Dairy, based in Shanghai, started the producing of the sweetened yoghourt Momchilovtsi in 2009 after the company recognized the Bulgarian village as a longevity mystic place. Since then the milk products are being gradually adapted to the taste of the Celestial Empire residents. Two years ago, they released different yoghourt series with tomatoes, cucumbers, broccoli, and different fruits. The market for the Momchilovtsi yoghourts is huge. The company earned more than $910 billion only in 2017. The village of Momchilovtsi is located in the picturesque Rhodopes Mountain. According to unsubstantiated accounts, the village is home to some of the world’s oldest people, allegedly thanks to the local yoghourt. Between the 7th and 9th of September 2018, the Bulgarian village will be a host of the Forth Yoghourt Festival with the participation of Bulgarian and Chinese milk producers. Besides an exhibition and tastings of yoghourt, milk products, homemade jams, honey, herbs, also will be held a national beauty contest “Queen of yoghourt – Miss Rhodopes”.